It’s too soon to say whether Google’s and Facebook’s attempts to clamp down on fake news will have a significant impact. But fabricated stories posing as serious journalism are not likely to go away as they have become a means for some writers to make money and potentially influence public opinion. Even as Americans recognize that fake news causes confusion about current issues and events, they continue to circulate it. A December 2016 survey by the Pew Research Center suggests that 23 percent of U.S. adults have shared fake news, knowingly or unknowingly, with friends and others. “Fake news” is a term that can mean different things, depending on the context. News satire is often called fake news as are parodies such as the “Saturday Night Live” mock newscast Weekend Update. 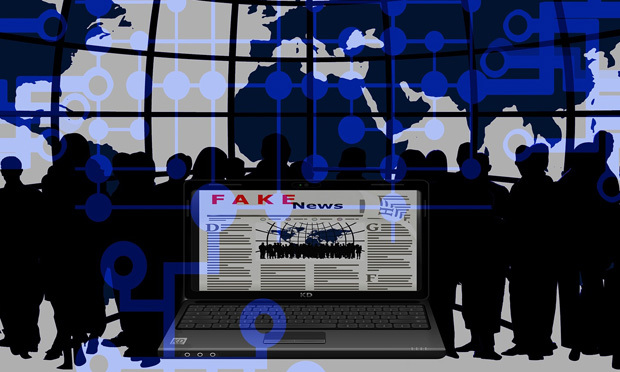 Much of the fake news that flooded the internet during the 2016 election season consisted of written pieces and recorded segments promoting false information or perpetuating conspiracy theories. Some news organizations published reports spotlighting examples of hoaxes, fake news and misinformation on Election Day 2016. The news media has written a lot about fake news and other forms of misinformation, but scholars are still trying to understand it — for example, how it travels and why some people believe it and even seek it out. Below, Journalist’s Resource has pulled together academic studies to help newsrooms better understand the problem and its impacts. Two other resources that may be helpful are the Poynter Institute’s tips on debunking fake news stories and the First Draft Partner Network, a global collaboration of newsrooms, social media platforms and fact-checking organizations that was launched in September 2016 to battle fake news. In mid-2018, JR‘s managing editor, Denise-Marie Ordway, wrote an article for Harvard Business Review explaining what researchers know to date about the amount of misinformation people consume, why they believe it and the best ways to fight it. Lazer, David M. J.; et al. Science, March 2018. DOI: 10.1126/science.aao2998. Pennycook, Gordon; Rand, David G. May 2018. Available at SSRN. DOI: 10.2139/ssrn.3023545. Allcott, Hunt; Gentzkow, Matthew. Working paper for the National Bureau of Economic Research, No. 23089, 2017. Chan, Man-pui Sally; Jones, Christopher R.; Jamieson, Kathleen Hall; Albarracín, Dolores. Psychological Science, September 2017. DOI: 10.1177/0956797617714579. Nyhan, Brendan; Reifler, Jason. Journal of Experimental Political Science, 2015. doi: 10.1017/XPS.2014.22. Berinsky, Adam J. British Journal of Political Science, 2015. doi: 10.1017/S0007123415000186. Rojecki, Andrew; Meraz, Sharon. New Media & Society, 2016. doi: 10.1177/1461444814535724. Zubiaga, Arkaitz; et al. PLOS ONE, 2016. doi: 10.1371/journal.pone.0150989. Berkowitz, Dan; Schwartz, David Asa. Journalism Practice, 2016. doi: 10.1080/17512786.2015.1006933. Weeks, Brian E. Journal of Communication, 2015. doi: 10.1111/jcom.12164. Rubin, Victoria L.; Chen, Yimin; Conroy, Niall J. Proceedings of the Association for Information Science and Technology, 2015, Vol. 52. doi: 10.1002/pra2.2015.145052010083. Balmas, Meital. Communication Research, 2014, Vol. 41. doi: 10.1177/0093650212453600. Gupta, Aditi; Lamba, Hemank; Kumaraguru, Ponnurangam; Joshi, Anupam. Proceedings of the 22nd International Conference on World Wide Web, 2013. doi: 10.1145/2487788.2488033. Brewer, Paul R.; Young, Dannagal Goldthwaite; Morreale, Michelle. International Journal of Public Opinion Research, 2013. doi: 10.1093/ijpor/edt015. Marchi, Regina. Journal of Communication Inquiry, 2012. doi: 10.1177/0196859912458700.